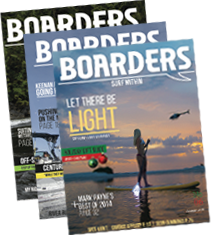 Boarders Magazine is proud to be the official sponsor of the first ever wake surf event at the U.S. Open of Water Skiing. VP of Marketing for Boarders, Danny Braught said "We feel extremely honored that CBS and Nautique Boats would invite us to be apart of such a prestigious event. Boarders brings a new discipline (wake surfing) to the table that has never been showcased at the U.S Open of Water Skiing before. I think it will be entertaining for spectators and riders alike." Re-igniting the future of one of water skiing’s most coveted titles, Nautique and CBS aim to engage the water ski community back to its roots, and deliver an all-inclusive, world-class, three-event water ski competition, wake surfing exhibition, and cultural festival.